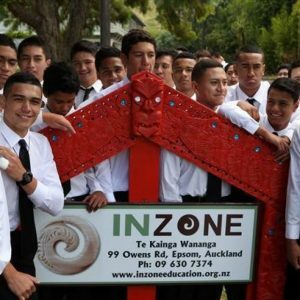 Going back a few years, the Maori and Pasifika boys at Auckland Grammar School amounted to less than four per cent of the 2,500 roll. Here was this big, flash state school in a seriously brown city – and fewer than 100 of the boys were Polynesian. How could you explain that? Well, you could point to New Zealand’s zoning laws. They were tightened up 15 years ago with the laudable aim of guaranteeing that kids, all around the country, would be able to go to their local school. Which was fine. And especially fine for families in that Epsom/Mt Eden/Remuera/Newmarket area. The local high schools for their kids were AGS and Epsom Girls’ Grammar. You couldn’t do much better than that. Those families were living in what real estate agents called the “double grammar zone” – a most desirable and high-priced location. But not a lot of Maori or Pasifika families were (or are) affluent enough to be among them. 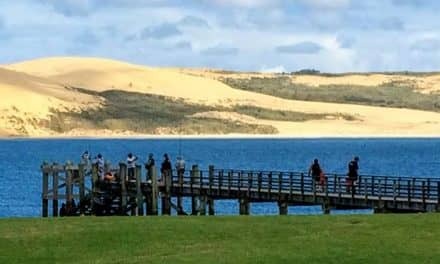 So he travelled around New Zealand, had a close look at the places where there were significant disadvantages – and he concluded that, in low decile schools, the problem wasn’t necessarily in the schools. It was often in the community and sometimes in the home. He saw communities that didn’t have resources, but did have a high concentration of gangs. And he saw peer pressure over-powering the influence of the families. One solution, he decided, would be to bring kids into one house, send them to top schools – and give them wrap-around support. So he knocked on Auckland Grammar’s door, and told them what he was going to do. That was in 2010. Now, the project, which started at AGS the following year, also includes Epsom Girls’ Grammar with 16 “InZone” girls this year. There are 54 AGS “InZone” boys. Here, Terrance Wallace, who’s riding herd on the whole project, explains to Caley Wilson how it has come about and how it operates. I assume that, when you approached Auckland Grammar, they may not have been totally sold on your ideas. They were receptive, but wondered how, after only a brief time in New Zealand, I’d already come up with a way around the zoning laws. To be honest, I didn’t realise there was a law that prohibited people who didn’t live in zone from attending the school. But I convinced John Morris and Mark Vella [then the principal and deputy] that I’d work through that. They then asked how many years it would be until this idea would get off the ground. I said it’d happen in the next six months, in time for the start of the school year. Word did get around quickly though. This was mid-way through 2010 and by 2011 we had our first boys off to the school. Was there resistance from anyone at Grammar? The board was supportive – and so was the headmaster. The Maori roll at the school had dropped when the zoning law went in place. Grammar’s documentation states that it’s a school for the common man. It was never meant to be an elitist school, but they were affected by the zoning law, too. So they were supportive in that way, but they were also a bit cautious, because they didn’t know who I was. They couldn’t stop our project, though, because I became the legal guardian of the kids. Dealing with just one teenager at a time can be painful. What’s it like being the guardian to dozens of them? Of course there are challenges. And I’m the legal guardian of 70 kids now. But I describe it as “shared guardianship” with the parents. They still play a big role. To be in zone, you have to hand over guardianship to the person the kids are living with. I understand why that rule is there – to prevent people flooding the zone without the responsibility. So where is home base for the project? I imagine that Epsom/Remuera area isn’t an easy part of the world to find real estate. We’ve been in a few properties, because we kept needing bigger spaces. Now we’re in the former United Maori Mission hostel at 99 Owens Road. The hostel was really lively back in the day, but wasn’t in such good shape when we took it over just before the start of 2012. Ngati Whatua own the property and we’d pitched a proposal to them. They could see the merit and, with a few conditions, gave us 30 years rent-free. We had to fix the place up, and do it in six weeks before the boys arrived, but it’s worked out well. Ngati Whatua have been really supportive and I call them often for guidance. Let’s take things back a bit, because I suspect you had an interesting upbringing to have the confidence to attack such a project. I was raised on the west side of Chicago. I’m an only child to my mum. My father wasn’t a part of my life growing up. Mum virtually raised me on her own. She worked two jobs at times to look after me. She has 14 or 15 brothers and sisters, so I have 76 first cousins. I’m Native American (Cherokee) and African American. My great, great, great grandfather, George Christian, came over as a slave, fought in the war, met his Native American wife and they had 21 kids. My mum’s great grandmother was Ella Christian, who was one of the 21. Dad passed away in 2000, but he and I established a relationship before he died. He was a business man, an African American who also had some European American roots and was a descendant of George Poindexter, who had been Governor of Mississippi. Even though you don’t have direct contact with some of your relations or ancestors, I think it helps craft who you are in some way. You see traits coming through. As I grew older I felt more comfortable in business and it allowed me to get income to do the things I felt called to do. Your mum made an especially influential call around your schooling when you were young, didn’t she? The schools in the area we lived in were just starting to go off-track, so Mum moved me in third grade to a school outside of zone called Dirksen Elementary. Where I was raised, it was all African American and some Hispanic families, but at Dirksen I was the minority. It was then that I realised the value of having diversity and being able to recognise the gifts of other ethnicities. Segregation and all that stuff … I just disagree with it. In families, you create environments where it’s a reflection of your culture and who you are. But as a society of people, I think it’s important that we don’t segregate ourselves, because we all miss out when that happens. And the church was a big element in your world, too? I grew up in the church and was taught to believe that all things were possible. By high school, after being a below average student as a youngster, I actually started believing that. 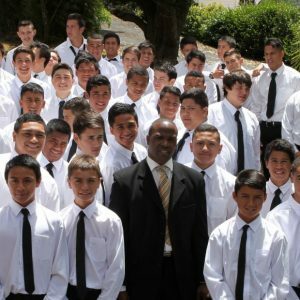 I created a youth group at 16. The only things I was seeing on TV – about African Americans and Hispanics – were that we were making up the majority of the prisons, we were the dropouts, we were having kids without being married, we were dying early because of gun violence. I was determined not to live that life. The youth group was about opposites coming together from across the tracks and finding ways to learn and go forward together. I’m a Christian, that’s my belief, but I am also called to love everybody. So I don’t discriminate against Muslims, Hindus or whatever. The first priority is to show love. My church couldn’t understand that and I wasn’t overly popular. 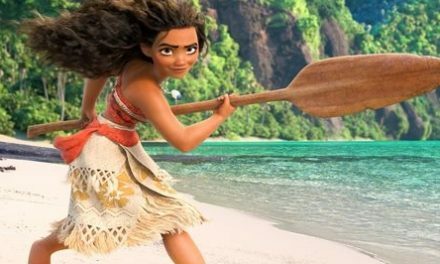 Having seen the world from a few angles, what’s different about working with Maori and Pasifika kids? With Maori and Pasifika, I appreciate what you call whakawhanaungatanga. How the culture is embraced. At least in the culture of InZone, it’s something that’s really valued and you get to see the bond they have amongst themselves because of that. We have 29 iwi and nine Pacific Island groups across the two sites. It’s something I see as a great asset for this country. I’ve done youth development work for a long time, but I’ve never seen bonds like our kids have amongst themselves. I imagine, now that word has got around, it’s pretty competitive for spots at InZone. How do you manage that process? We have advisory boards for both the boys and the girls, and they select people to help with interviewing the students. Our top selection criterion is that the kids have to want to be here – both at the kainga and at the school. They write to us about themselves and explain why they want this opportunity. They see this as a chance to benefit not only themselves but also their families. I get very emotional about having to send letters declining people because we don’t have space. So what’s the routine for the kids once they’re accepted? All the boys and girls selected for next year will come and stay for the last weekend of the school year with us to learn about everyone in our family and how we do things. Then they come back for a week in early January. That week is about academic preparation and time management. We give them all the tools they need to start the school year off with confidence. And they should feel confident – they’re part of the biggest family at the school! A big focus for all of us is effort. If the kids are putting in the effort with their studies, then we just need to give them the support to get them over the line. We’ve all seen situations, like I did in Chicago, where kids were teased if they were trying to learn or appearing to be intelligent. But here, our boys and girls compete to be in the top streams at their schools and they’re in an environment that celebrates academic performance. I’m especially proud of the kids who came in at the beginning and went through the growing pains with us. They persevered and have left a legacy for all the other students who will benefit from InZone. In the future, that influence might be far wider than just Auckland. This year, four of our boys are prefects at Grammar and one is a senior prefect. That boy missed an entire year of school before he joined us, when he should have been at Intermediate. He came with a few challenges, but ended up in the top NCEA class, got five prizes at prize giving last year and is now captain of the 1st XV. What is Grammar getting out of the relationship? 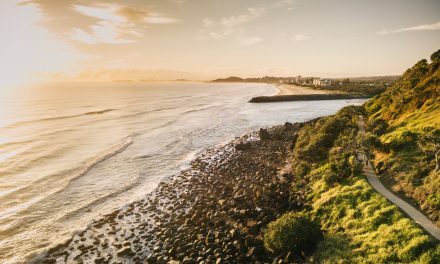 Their kids get a truer perspective on the diversity of New Zealand. Our boys teach the school haka to the first intake (about 500 kids) each year. That started in 2011. So now all 2,500 students really know that haka. 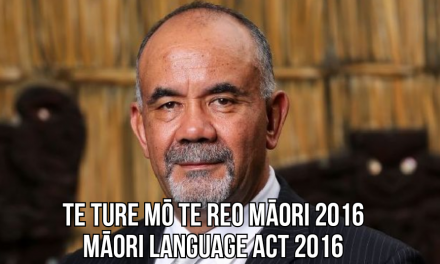 Next year Grammar will have compulsory te reo Maori for all Year 9 students. 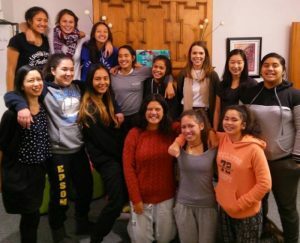 And the school now has stronger representation at Polyfest and in te reo speech competitions. Our kids have two hours of study time each night and we have many tutors on site to support them. They’re delivering academically, culturally and in many extracurricular activities. I imagine the Education Review Office (ERO) has been impressed. So, I think the school has benefitted as much as our kids have. Does that mean high-fives for Terrance wherever you go? Some high-fives. But I’m challenged regularly. Any time a story comes out, I get letters or phone calls. [Editor’s note: Sorry Terrance]. I understand. I’ve dealt with a lot worse and I have tough skin. I can’t teach them their culture. Their families still have that responsibility. When it comes to that territory, the kids are teaching me. Some people might think the kids are cherry-picked. But the evidence of where they are when they come … in most cases they’re well below national standards, and they get up to a decent level after time with us. As long as I can see the boys and girls grabbing this opportunity and running with it, there’s nothing anyone can say or do to stop me pushing forward to make sure that it lasts for generations to come. The challenge is for the kids to take what they have received and apply that to the wider community as leaders. Some of them have really big dreams for reforming their communities. I think the InZone kids carry the solutions to a lot of the concerns and challenges that we as a society face. So for me it’s about giving them the platform. NextCYFS has failed our kids. Miserably. My son was in the first Inzone intake. From the moment we walked into the hostel and then to AGS, both of us knew it was a journey that was meant to be….my son had the opportunity to embrace his culture, learn in a supportive way, develop strong values and grow to be the beautiful young man he is…..as a mother we cherish opportunities like Inzone and will be forever grateful to Terrance for making it happen. Up there with one of the best reads in my life. Inspirational man—God is indeed very good. Thank you. 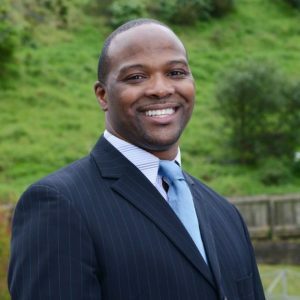 Kia Ora Terrance God is awesome and so are you – grateful and thankyou for the blessing of your love and commitment to education, life, and the Lord. EXCELLENT. U still belong to Chicago. Much Love. Such positive and fantastic headway. Would love to know more about your system/structure to be able to apply same in other areas. Teena koe Terrance, as a decendant of my Ngapuhi people. I want to acknowledge the great work that you have achieved with the next generation. Thank you and your team for the skills and experience that you have brought to our young people. May God continue to bless and inspire you into the future with the vision that you have for excel in quality education for Maori and PIC. Excellent article and work young fulla! What an amazing God we serve, that someone from a totally different culture and timezone can make such an impact. One question i would ask; Being a Christian, what provision is made for these privileged young people to be discipled and followers of Christ? Welcome to Aotearoa Terrance, you sure rock!